Female Emperor Dragonfly (Anax imperator) photographed at Langdyke Countryside Trust's, Swaddywell Pit Nature Reserve, Peterborough, UK. Pre-focused above the ovipositing insect to capture the wing movement after it 'took off '. Dragonfly is approx 78mm in length with a 106mm wingspan. Image is slightly cropped. Tech. details: Leica SL fitted with manual focus Novoflex 600mm f8 Noflexar plus Leitz APO 2x extender (thus 1200mm) at a distance of approx 5m … the Novoflex built-in bellows enabling relatively close-focus. Lens stopped down by ½ stop thus effective f19 … ISO 1600 1/640sec. 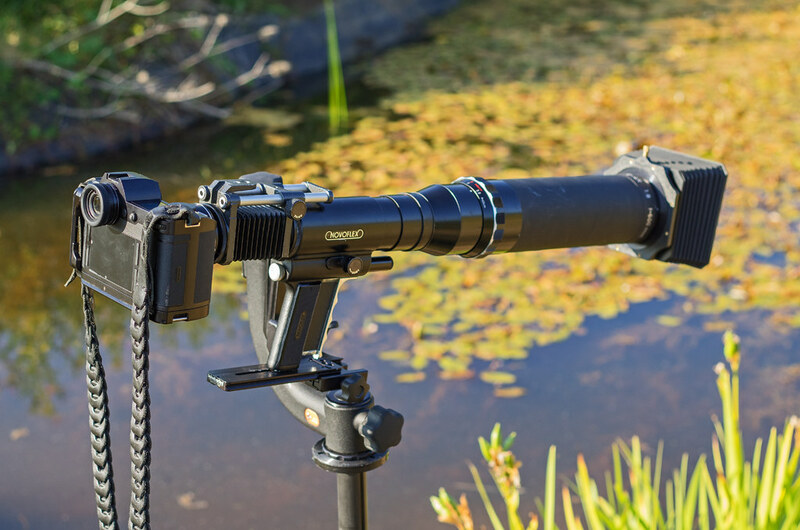 Camera and lens secured via Jobu Design gimbal on a Gitzo tripod. The Noflexar 600mm f8 is a 2 element achromat 'long Tom' i.e. not a telephoto design and is approx 50 years old … as used by sports and wildlife photographers during the 1960s; the Leitz 2x APO extender (not visible in the photo but fitted behind the bellows via an adapter) is a 7 element design. 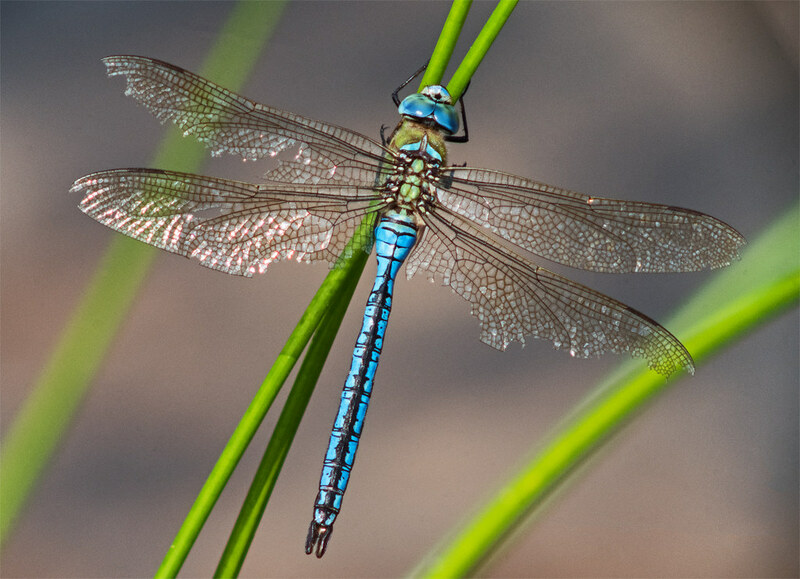 Note the Emperor Dragonfly is the only European anisoptera exhibiting a curved abdomen whilst flying … useful aid to identification. 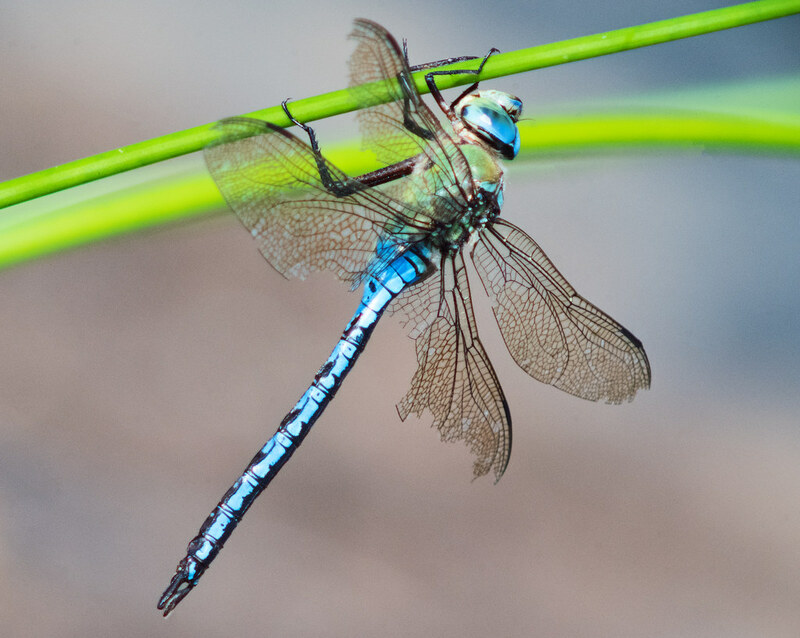 The hind wings are almost stationary compared to the forewings; dragonflies can operate each wing independently. Aeronautics engineers study dragonfly wings' 'mechanics' with a view to improving aircraft wing design. "Completely different" indeed! I've never seen a shot quite like this; very nice. Can you give us some of the technical details? Any chance there was a sequence, with other shots showing other wing positions? In any event, I like it a lot. 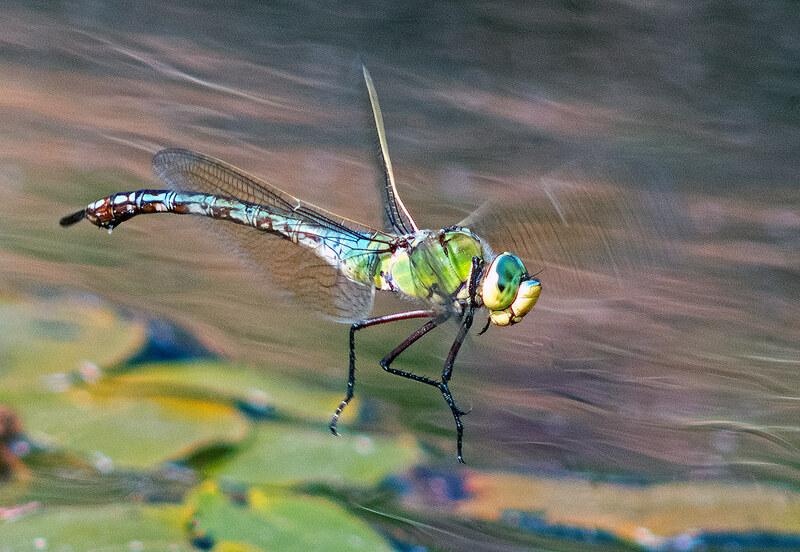 Thank you Leonard … it's an ongoing project and this was one of the first attempts at capturing the dragonfly in flight. Using the long lens does not disturb the insect and it also enables a low angle approach by virtue of the relatively long, lens to subject distance. Very clever done. Dragonfly in flight with manual focus! 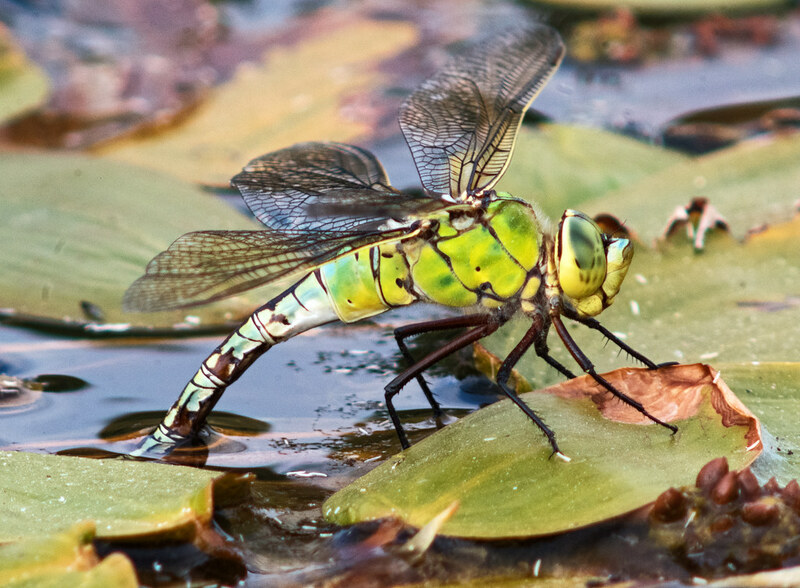 Male Emperor Dragonfly resting between 'sorties' over the pond … torn wings likely result from frequent intruder encounters when defending territory. The specimen returned to the same and adjacent perches through the afternoon. Leica SL 601 Novoflex 600mm f8 Noflexar, plus stacked Leitz APO R 1.4x and 2x extenders (effective 1680mm f22); magnification on sensor approx. 0.5 … specimen is approx 80mm in length. Beautiful pictures! I am especially entranced by dragon pix. These are very striking.